Till date, 2.5 lakh runners across 34 events in 13 countries have experienced the concept. BENGALURU: In 2013, Tim Johnston and two of his friends in Malaysia recognised the opportunities that mass events provide. And that’s how the idea of combining running and music came about. Today, a group of young Bengalureans will live up to their objective of running though the medium of music. Till date, 2.5 lakh runners across 34 events in 13 countries have experienced the concept. According to co-founder Tim Johnston, globally, running accounts for 80 per cent of participation in mass events with the trend of shorter races growing. “What’s unique about this event is that there is a speaker at every 40 metre of the running course. There’s a party at the finish line. So, it’s like runner would be running to party. The headliner for the event is DJ Nikhil Chinnappa. We have dance performances in addition to several other activities,” he says. The event intends to create a vibe of celebrating a festival with beer stores and games. Runners can celebrate when they cross the finish line and collect their finisher medals. They can choose to party in their active-wear at the main stage or chill out and soak up the festival vibes in the Music Village. Before the run, there will be a battle of the bands among local colleges. The shortlisted college bands will be battling it out to emerge as champions on the main 120-feet-wide stage. “We want to work with the music community in the city and provide a platform to the college bands,” he says. A part of the funds will be contributed to The Dharavi Project. The children from the project will also be performing at the event. 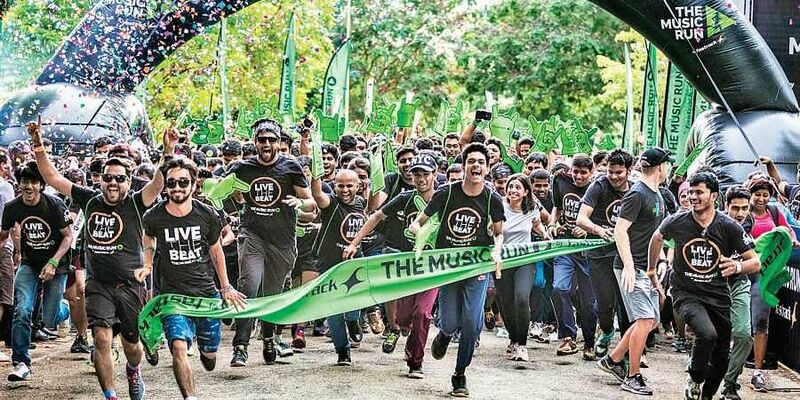 The Music Run is back in the city, and is being held today at Clarks Exotica Convention Resorts & Spa, Devanahalli Road. Gates open at 2.30 pm. The organisers are planning to expand the India series to five cities in 2019, with events in Hyderabad, Pune, Delhi and Mumbai. To register, visit themusicrun.in.